Having somewhere safe, secure and comfortable to live is something we all want, and is an important part of looking after our physical and emotional health. But for some people with HIV, finding or keeping somewhere suitable to live may be about to get harder. Philip Glanville, policy and parliamentary officer at the National AIDS Trust, looks at the issues. 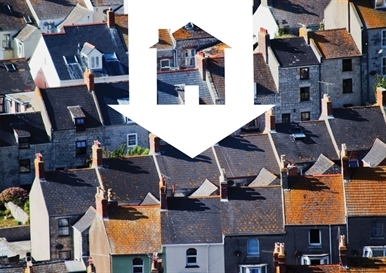 Housing rarely seems to be out of the news these days, whether it’s fluctuations in the housing market, growing homelessness, changes to the benefits system, exposés on rogue landlords, or rising rents. That housing, as an issue, is changing and rising up the national agenda is unmistakable. However, what has been less clear is the impact that increasing interest in these issues and the changes to the housing and benefits system may have on people living with HIV. We regularly respond to enquiries on housing from individuals with HIV and organisations supporting them. The nature of these queries has been changing, however, and a recent survey of organisations supporting people living with HIV confirms that changes to the welfare system and the growing pressures on the supply of new, affordable housing are combining to have a significant impact on people living with HIV. Eighty-six per cent of organisations responding to a recent NAT3 survey reported a rise in housing-related cases, highlighting benefits and housing allocations as the key areas of concern. Over the coming year, and in response to changes in housing policy, NAT is planning to do more targeted work on the impact of these changes. So having this opportunity to outline some of the key issues facing people living with HIV could not have come at a more appropriate time. It is worth noting that, although the changes to the welfare and benefits system apply across the UK, the housing powers in the Localism Act 2011 discussed below only apply to England. How these changes interact with welfare reform and what impact they will have on people living with HIV in England is also discussed below. The Localism Act 2011 changes the powers of local government in England. As a consequence the rules governing the access to, and regulation of, social housing (housing owned by local authorities or ‘registered social landlords’, rather than privately owned) are going through one of the biggest changes in a generation due to this new piece of legislation. Depending on where you live, whether you are homeless, claim Housing Benefit or need access to social housing, or are likely to need this support in the future, these changes may have a significant impact on you. The Localism Act 2011 is also going to alter substantially the types of homes on offer to you, and may change whether or not you are able to access social housing at all. The changes have been brought in by national government, but decisions on the implementation of the new powers, and how or whether they are used (or not), are by and large left to local authorities. Under the Localism Act 2011, local authorities now have greater powers in deciding how to manage their housing waiting lists, who will have access to them, how they will be assessed, who will be prioritised, and – in many cases – what type of housing those on the list will be offered and allocated. Currently, not all local authorities are using these powers, but over the coming months more and more will be making decisions about how they respond to the legislation and its requirements, which powers they will use, and in what way they will choose to use them. Traditionally, when someone made a ‘homelessness’ application to their local council, their needs were assessed based on whether or not they met the eligibility criteria to be classified as homeless, as well as on other factors including their relationship to the local area, the size of their household, and their medical needs. Assuming they were deemed to be homeless (according to the legal definition used by councils), they would then be allocated a certain level of priority based on their need. After that, it was a question of waiting for suitable housing. The system was also broadly the same for those wishing to move into, or within, social housing: an assessment would be made, a level of need determined, and then someone would join the housing waiting list. Often local authorities operated a banding system to determine priority for homeless applicants and/or those in acute need, with factors including domestic violence, disability, families with children, severe overcrowding or health needs taken into account to allocate a higher priority than those deemed to be ‘adequately housed’. Depending on where people were living at the time of the application, and their assessed housing need, the wait for suitable housing might involve a period in temporary accommodation or, in some more urgent cases, an immediate offer of a suitable property. More recently, in high-demand areas such as London, local authorities were increasingly encouraging those on the waiting list to consider renting in the private sector, to reduce waiting times and overcrowding. Ways they encouraged people to move into the private rented sector included financial assistance through rent deposit or bond schemes, or cash payments to encourage people to take this option. Nonetheless, for the vast majority of people waiting for housing, the goal would remain a lifetime tenancy in social housing and critically this option, even if it involved a long wait, remained open to them. While there were often concerns about the assessment process, and many people waited a substantial time for suitable housing, everyone generally understood the system. For people living with HIV, the main issues were poor levels of HIV awareness amongst housing providers and those assessing housing need, the impact of poor quality or unsuitable housing on their health, and, for people going through the immigration process, restricted access to housing. The new powers granted by the Localism Act 2011 will allow each local authority much more autonomy to determine its own priorities when allocating housing. The status of ‘homelessness’ and the statutory duties on local authorities to find ‘suitable housing’ will remain. However – critically – this housing will not have to be social housing and doesn’t necessarily even have to be in the local area; all it will need to be is ‘suitable’ for a local authority to have discharged its homelessness duty. Moving someone into the private rented sector would discharge this duty – effectively cutting the link between homelessness and access to social housing. Local authorities will also be able to prioritise access to housing for those in work, training, volunteering or for service in the armed forces. There is a new power to change the length of time applicants for housing have to live or have a connection with an area before they are eligible to access the local housing list. Currently this period is usually around six to twelve months, but some local authorities are now increasing this to two, three or even five years. This is likely to have a significant impact on how migrants, those leaving prison and others who have been placed in a given area by another local authority can access housing. NAT fears there is a risk that some people living with HIV and others living with long-term conditions will be sent to the back of the queue unless they are appropriately assessed during this process. We need to ensure that, when local authorities assess the suitability of a housing offer, especially one in the private rented sector or outside the local area, they take into account all the needs of people living with HIV. This should include considering the impact of poor or unsuitable housing on health and the need for someone to be near their HIV clinic and any support organisations or systems, given how critical this can be to them staying well. Recently NAT campaigned for, and was successful in ensuring, a change to the UK Border Agency’s policy4, so it no longer routinely disperses asylum seekers with HIV away from their HIV clinic if suitable accommodation is available. We believe local authorities should also take such issues into account as they decide how to use their new allocation powers. The Localism Act 2011 also changes the types, tenures and rent levels of existing and new social housing on offer. Under the Act, local authorities and registered social landlords (RSLs) will have the power to decide on the length of new social tenancies; rather than being offered a lifetime tenancy, successful applicants may only be offered a five-year tenancy, followed by a tenancy review. The terms of that review, and what might be involved, are unclear and NAT has concerns about the disruption and uncertainty this might cause for people living with HIV. At the same time, the Government has created a new type of social housing called ‘affordable rent’ (AR), where the rent can be set at up to 80% of local private rents. Currently AR housing is likely to be largely restricted to new-build housing constructed over the coming years, but those local authorities and RSLs building for this new tenure are, as part of the financing of these new homes, allowed to convert a percentage of their existing housing stock from ‘social rent’ to this new higher ‘affordable rent’ level as they become vacant. AR tenancy properties are, increasingly, going to be the only type of social housing being built. In areas like London where private rents are high, there are questions about how viable and suitable this type of housing will be for people on Housing Benefit or low incomes. The effect is likely to increase the pressure on traditional social housing. In some areas, the knock-on effect might be longer waiting times if people hold out for council housing with lower rents. Housing allocations are likely to become ever more fragmented, making the system harder to navigate for housing applicants, and more complex for organisations that provide support and advice. People living with HIV will face some of the same issues on rent and tenure as anyone else in the social housing system. In other aspects of the process, such as the changes to assessment and prioritisation, those living with HIV and who have more serious health problems and can’t work could be at a substantial disadvantage. For people already living in social housing, their situation will depend on whether they are wholly or partly relying on Housing Benefit to pay rent. Those relying on Housing Benefit, of working age, and not in work will face the greatest impact. From 2013, rather than seeing Housing Benefit paid directly to landlords, this payment will now be made monthly directly into individual bank accounts (with some small exceptions). It will bring social tenants into line with tenants in the private sector who already receive the Local Housing Allowance directly, according to the Government it will help people develop budgeting skills. It might also help those on low incomes to open and sustain a wider range of bank accounts. But the potential downside will be the increased pressure of having to budget, especially for vulnerable people receiving a substantial amount of money directly into their bank accounts at the start of the month. While landlords, advice providers and others are going to do what they can to help people adapt to these changes by making sure people are encouraged to use direct debits to pay their rent, there are understandable fears that, for some people, this may increase rent arrears, put tenancies at risk, and increase the use of ‘payday’ loan companies. Other recent or prospective changes to Housing Benefit and related benefits may also have implications for people with HIV. In April 2013, the Government introduced changes to Housing Benefit for social housing tenants of working age – the so-called ‘bedroom tax’. It will lead to reductions in Housing Benefit for those deemed to be ‘underoccupying’: by 14% if you have one extra bedroom or 25% if you have two or more. In 2013, the Government is planning to introduce Universal Credit. (It will be introduced on a small scale initially, followed by a national launch in October.) This will result in one payment into a bank account, comprising all the benefits someone is eligible to receive. It will include Housing Benefit and be subject to the ‘benefit cap’ of £500 a week for couples (with or without children living with them); £500 a week for single parents whose children live with them; and £350 a week for single adults who don’t have children, or whose children don’t live with them. The Universal Credit ‘benefit cap’ will not currently apply to those who qualify for and receive Working Tax Credit, or if they receive any of the following benefits: Disability Living Allowance (for new claimants Personal Independence Payment from April 2013), Attendance Allowance, or Employment and Support Allowance (with the support component). People living with HIV and not claiming Housing Benefit are at the moment less likely to see changes to their housing situation. If they have a lifetime tenancy (the traditional form of tenancy in social housing), the security of tenure they enjoy will not be affected as long as they don’t want to move and are able to continue paying their rent. However, if circumstances were to change, and they needed to claim Housing Benefit, the same issues such as the ‘benefit cap’, ‘shared room rate’ or ‘bedroom tax’ might apply. There are various changes mooted by the Government to change the rights of existing tenants, but it would require further legislation to implement changes to the length of someone’s tenancy, their rights to succession or the level of rent they pay. As this article goes to press the idea of ‘pay to stay’, where tenants who earn above a certain threshold would be forced to pay a higher rent to stay in social housing has moved a step closer. It was announced by the Chancellor in the Budget in March that it would be introduced, and the household income threshold where it will start will be set at £60,000 a year.6 Households earning over this amount could end up paying full private market rent and this could have a significant impact in London where the gap between social and private rents is widest. The substantial changes to housing and related benefits, cuts to housing funding, and the localisation of allocations policy will all have a significant impact on people living with HIV and in need of housing support. The changes to Housing Benefit and the Local Housing Allowance will restrict the amount people have to spend on rents, at a time when housing supply is failing and demand continues to rise. The Localism Act 2011 now grants local authorities substantial new powers to making decisions about who can access social housing, the rents they will pay, and for how long they can occupy it. This is happening at a time when the supply of new homes of all tenures is decreasing (with the supply of new social and affordable housing at an all-time low), it’s more difficult to get a mortgage and private sector rents are rising. For people living with HIV and needing social housing it is going to become increasingly difficult for them to access and afford the stable housing they need. Organisations such as NAT, and others that support people living with HIV, need to be alert to the impact these changes are going to have, and campaign to ensure that HIV and the impact poor quality and unsuitable housing can have on health is considered properly when a local authority assesses someone’s eligibility and housing needs. This will mean understanding the positions taken by local authorities in their Tenancy, Homelessness, Allocations and Housing Strategies, and related policy documents. All these policies, if they haven’t already, will be being developed, or revised, in the coming months and there is a role for all of us to make sure the voice of people living with HIV – emphasising the need for good-quality, stable and safe housing to stay well and live independent lives – is heard loud and clear. If you are having problems with your landlord or in accessing housing you can contact the organisations above for advice, but if you have already made a complaint and were dissatisfied with the response you might want to consider contacting your local councillor or MP. NAT & Shelter Housing and HIV. National AIDS Trust, 2009. NAT & Shelter HIV and Housing: A practical guide for housing officers on HIV and its impact on housing needs. National AIDS Trust, 2010. NAT Housing and HIV: A survey into the housing advice and support needs of people living with HIV,National AIDS Trust, April 2013. UK Border Agency and Home Office Healthcare Needs and Pregnancy Dispersal Guidance. p33 August 2012. Lloyd T Pay to stay threshold to be set at £60,000. Inside Housing, 20 March 2013.